The Philippine archipelago comprises about 7,107+ islands, of which only about 2,000 are inhabited. More than 5,000 islands of the Archipelago are yet to be named. 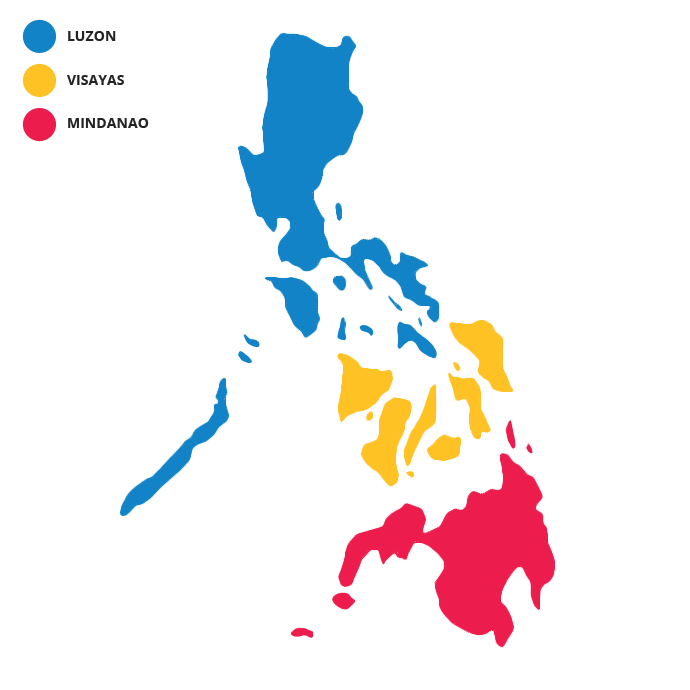 The Philippine islands are clustered into the three major island groups of Luzon, Visayas, and Mindanao. The following list breaks the islands down further by region and by smaller island groups for easier reference. Click on an island name to learn more about each island. Click here to view a map of the 31 largest islands.